Whether you’re the owner of a fancy underground cellar filled with thousands of rare and priceless wine bottles, or simply own a small collection of your favorite wines in the back of your pantry, moving a beloved wine collection to a new home is enough to make any wine aficionado nervous. Any wine lover knows how fragile and delicate wine can be, and how important it is to take the appropriate precautions to protect them from harm. Transporting a wine collection is downright risky, with dangers ranging from broken bottles to ruining the wines from sun exposure. For this reason, it’s best to trust a reliable moving company like Griffin Moving & Storage to safely pack and transport your wine collection for you. 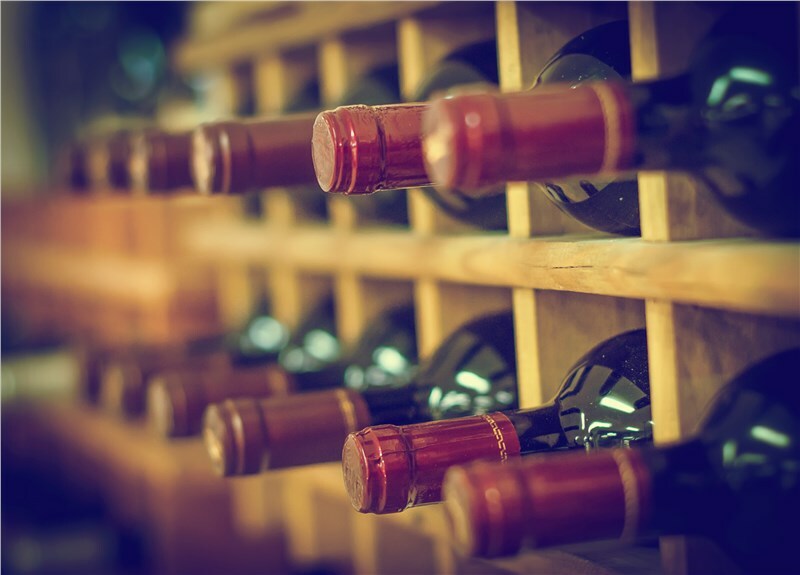 In this article, our experts share some valuable tips for keeping your wines safe throughout a move, to help you prepare for your next relocation project. Packing wine and moving your collection must be done with care and consideration. Failure to properly prepare for moving your most fragile and delicate items can and will result in a loss of your wine collection. That’s why we have put together a step-by-step checklist for your review, starting with how to pack a wine collection. Specialty Boxes: The value and nature of wine make it necessary for specialty boxes to be used for both storing and transporting wine. These boxes can be bought at wine stores or may be available through your mover. They are typically made of Styrofoam or corrugated cardboard. Remember that corked wines need to be upside down or on its side to ensure the cork stays wet. Make sure each bottle is individually wrapped and insulated before sealing the box. Transportation: If your collection is small, you can get away with moving them yourself in your own vehicle. This option allows you to control the drive along with the temperature and humidity. However, if you have a large collection, you will want to consider a professional mover. Make sure when choosing a mover that they have previous wine moving experience. If you have an extensive and high-value wine collection, then your best bet may just be a wine relocation expert. This is more expensive but worth the price considering the potential loss you may face. Legality of Moving Wines: Every state has different regulations when it comes to transporting alcohol. While most restrictions are lifted when it comes to the needs of private collectors, it’s still important to make sure you are in compliance before moving your wine collection. If you hire movers, make sure that they are willing to move your wine and have formally agreed to do so before moving day. Let it Rest: After the wine has been moved it’s important to let the wine rest for at least a week before opening to allow the contents to settle. Opening too soon can lead to a flavor reduction and a less satisfying taste. Our moving company first started in the 1940s in New York. Since its inception, Griffin Moving has become a recognized name in the relocation business, known as an expert in moving services, including specialty moving solutions. From pianos and organs to high-tech equipment and wine collections--our team is dedicated to solving our customer’s problems to achieve successful and streamlined moving experiences. Griffin Moving & Storage is a proud affiliate of Allied Van Lines. Whether you’re moving locally, long-distance, or internationally, we’ll make sure your wine collection and other specialty items are professionally packed and safe throughout your move. Ready to schedule your relocation with our team at Griffin Moving & Storage? If you’re thinking about packing wine from your collection or have questions about moving other specialty items for a long-distance, local, or international moving project, give us a call to speak with one of our movers to learn more about our moving services now. You can also fill out our online form to schedule your free, in-home assessment and price quote with one of our expert moving and storage coordinators.